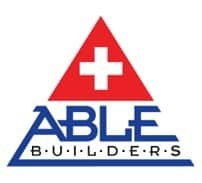 The pros at Able Restoration know that choosing the right Mold Removal Clearwater FL Company is vital because it mold can impact your health, where you live, or office. Mold is a harmful micro-organism that grows on organic material when a water source is present. Mold may also grow on dry inorganic material using organic material and moisture found in the air and on its surfaces. When your home or commercial property is in need of Mold Removal Clearwater FL, you should always hire a licensed contractor who is certified by the State of Florida for Mold Remediation. The best Mold Restoration contractors can take care of everything from A to Z. Only a licensed contractor with a license for mold removal is qualified to perform mold remediation and then rebuild. Once the Mold Removal job passes the clearance test, it is time to put your home back together again. Able Restoration in Clearwater has a great reputation for both, mold removal and home remodeling services. If you are experiencing problems with mold, or think you may, call Able Restoration today at (866) 331-3770. What is Mold Remediation? – Mold remediation is the process of removal and/or clean up of mold from an indoor environment, such as a home or a business. If a home or a business has serious mold damage, it is best to Able Restoration, Inc as specialized equipment and methods may be required to remove the mold completely. What Are Molds? – Molds are fungi that can be found both indoors and outdoors. No one knows how many species of fungi exist but estimates range from tens of thousands to perhaps three hundred thousand or more. Molds grow best in warm, damp, and humid conditions, and spread and reproduce by making spores. Mold spores can survive harsh environmental conditions, such as dry conditions, that do not support normal mold growth. How Do Molds Affect People? – Some people are sensitive to molds. For these people, exposure to molds can cause symptoms such as nasal stuffiness, eye irritation, wheezing, or skin irritation. Some people, such as those with serious allergies to molds, may have more severe reactions. Severe reactions may occur among workers exposed to large amounts of molds in occupational settings, such as farmers working around moldy hay. Severe reactions may include fever and shortness of breath. Some people with chronic lung illnesses, such as obstructive lung disease, may develop mold infections in their lungs. How Long Does Mold Removal Take – The time it takes for the mold removal process depends on many factors such as how much mold is present, where the mold is growing (behind walls, etc. ), and the materials it grows on. Most mold removal (remediation) takes anywhere from 1 day to 5 days. How Do I Know the Removal Worked? – There are two different ways to know when mold is removed.